We may not even be a week away from Google’s Tuesday event in San Francisco where the company is expected to reveal the new Nexus smartphones. However, it seems there’s no stopping leaks related to the Nexus 5X and Nexus 6P. 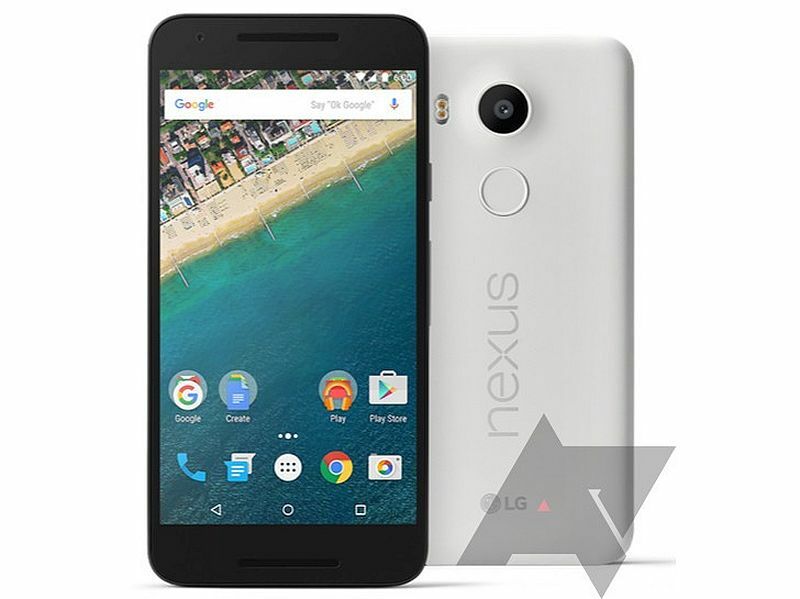 Both the Nexus 5X and Nexus 6P smartphones have surfaced in a flurry of leaked press renders. Posted by Android Police, the purported images come just days after retail boxes of both the Nexus smartphone were leaked. The designs of the Nexus 5X and Nexus 6P in the press renders are in line with earlier leaks. According to the leaked renders, LG branding can be seen at the back of the Nexus 5X, similar to the original Nexus 5. The handset’s front is bare of any physical buttons and sport two front grilles for speakers. The fingerprint reader can be seen at the back panel of the smartphone, sporting a circular design. The leaked renders also show the rear camera protruding slightly. The primary camera can be seen accompanied by dual-LED flash, probably dual tone flash. The LG Nexus 5X press renders seemingly ‘confirm’ that the handset will be available in Ice Blue, Charcoal Black, and Quartz White colours, which corroborate with the Amazon India listing that was spotted recently. 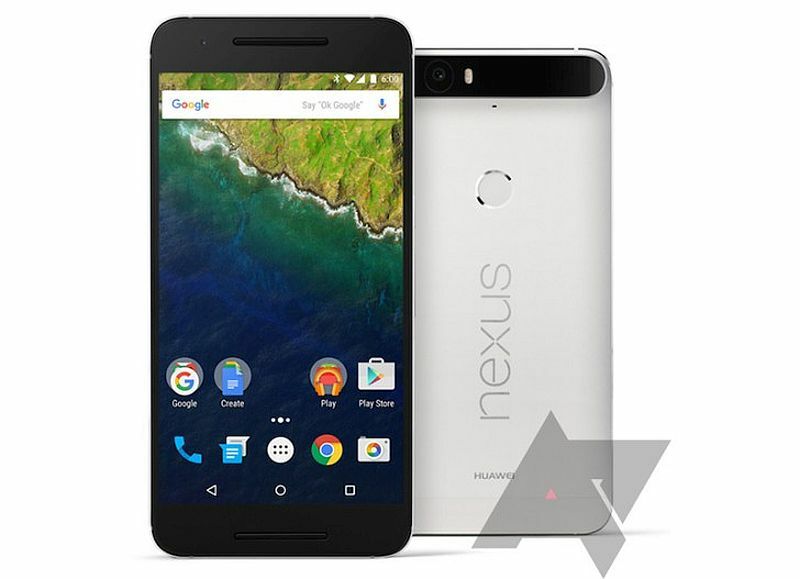 Coming to the Huawei Nexus 6P, the smartphone can be seen sporting a larger display, believed to feature a 5.7-inch QHD (1440×2560 pixels) display. Additionally, the Huawei-made Nexus 6P smartphone can be seen featuring the rear camera on a bump that stretched along the entire width of the back panel. The primary camera is seen placed on the top-left side with slightly protruding glass panel on the top, again in line with previous leaks. A dual-LED flash module can also been seen placed on the raised glass bar on the back. Similar to the Nexus 5X, the Nexus 6P is seen sporting two front speaker grilles – above and below the display. The fingerprint sensor, as previously tipped, again sports circular design. One possible difference between the Nexus 5X and Nexus 6P’s fingerprint scanner at the back is presence of a chrome material on the latter circling the reader. We will have to wait till Tuesday to see whether both the smartphones sport same fingerprint sensor module. Unlike Nexus 5X which is leaked in three colours, the Huawei-made Nexus 6P is seen in Aluminum, Black, Gold, and White. Apart from the new Nexus hardware, Google is also likely to announce the second-generation Chromecast streaming device at Tuesday’s launch event.